Dr. (Adam) Wagner is a Chiropractor in Doylestown PA practicing for nearly 38,000 hours. He obtained a Bachelors degree from Arcadia University in 1987 (name changed from Beaver College). 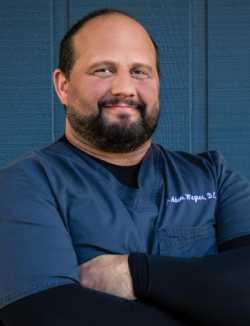 Dr. Wagner received his Doctorate in Chiropractic from New York Chiropractic College (NYCC) in 1996 with honors and was inducted into the Phi Chi Omega Chiropractic National Scholastic Honor Society. Dr. Wagner's experience is chiefly in integrative & multidisciplinary pain management working very closely with acupuncture, physical therapy, anesthesia/interventional pain management, family medicine, neurology and rheumatology medicine practitioners. He was a student tutor in biochemistry and nutrition, pathophysiology, organic chemistry, and lab diagnosis at NYCC. He specializes in combining diagnostic skills, functional assessment, nutritional pain assessment (when needed) and treatment. Dr. Wagner also supports practitioners of physical therapy, acupuncture, allopathic and osteopathic medicine practitioners, for the best possible patient outcomes. He is a current member of the Pennsylvania Chiropractic Association. 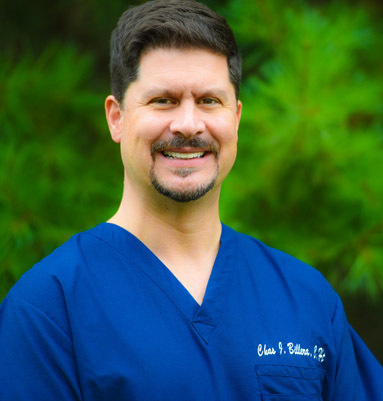 Dr. Wagner currently resides in the Perkasie area and spends most of his free time with his family, 3 dogs and 2 cats. He also enjoys playing bass guitar (30+years of experience) and can be found performing with The Kelly Stratton Band, but also plays the ukelele and is a student of the bag pipes. Important Identity Disclaimer: Dr. Adam Wagner does not use this website in his personal correspondence. Any one receiving images or messages from anyone representing themselves to be Dr. John Adam Wagner should consider that communication to be suspect and unauthorized by Dr. J. Adam Wagner. We strongly recommend that you contact the office of Wagner Integrative Therapies if you have received a non-professional communication from anyone who purports to be Dr. J. Adam Wagner. Jean-Paul is a nationally board certified acupuncturist (NCCAOM) and is licensed in the state of Pennsylvania to practice acupuncture. He is a graduate of the American Institute of Alternative Medicine in Columbus Ohio. JP has studied acupuncture in two different hospital settings in Beijing China as part of his education. He also holds an Associate in Science Degree for Massage Therapy. Jean-Paul believes that acupuncture encourages the body to activate its natural healing processes and defenses without any injury to the body, in its simplest terms. “The process has a very low-risk to high-benefit ratio,” says Rouzier. Born in Haiti, Jean-Paul grew up in the Poconos and is an avid skier & snowboarder. 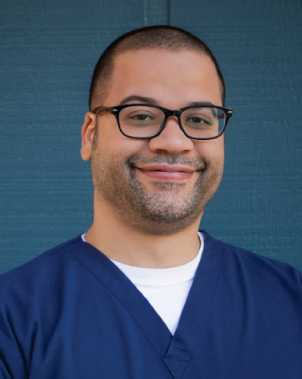 In addition to WIT, Jean-Paul also practices in comprehensive pain management settings in and around Philadelphia, but calls Warrington home. His motivation comes from people who want to take command of their health. We are very fortunate to have Jean-Paul as part of our team at Wagner Integrative Therapies. His intuitive and gentle nature makes him an excellent addition to our practice. Alisha is a licensed massage therapist in Pennsylvania. She graduated from Pennsylvania Institute of Massage Therapy, (PIMT) in July, 1995. Alisha’s specialties include Swedish Therapeutic Massage, Massage for Pain Management, Prenatal Massage and is certified in Reflexology. Her integrated techniques help patients with complex and chronic pain to move with less pain, and improve the results from chiropractic adjustments and decompression therapy as well. Alisha has worked with chiropractors for 8 of her 20 years in practice. She and her family have been patients of chiropractic since 1996, and fully appreciate the benefits of regular care. Having recently completed a course in Specialized Stretching for Body Work, she is uniquely qualified to assist our patients in stretching targeted muscles during their sessions. Alisha and her husband have been married for 22 years, have 4 children ranging in age from 16 to 10. She has been a resident of Bucks County since marriage. Originally from Abington, she grew up in Maryland before returning to Pennsylvania. Her interests include, serving in the children’s ministry at her church and quilting, but she most enjoys watching her boys play baseball and being a 4-H leader for her girl’s horse club. Vicki Messina has been managing multi-discipline medical offices since 2005. She has provided support for medical and professional providers of chiropractic, physical therapy, acupuncture, dermatology, aesthetics, and family medicine. 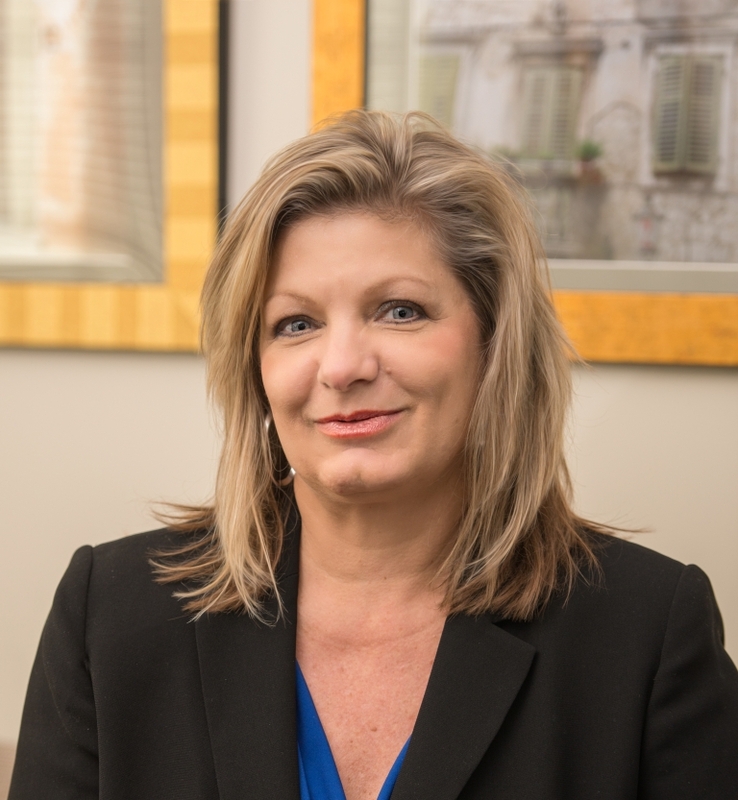 As an office manager, Vicki focuses on providing patients and their doctors with excellence in communications, general office management, insurance reconciliation, support, and staffing. the Central Bucks School District. Vicki volunteers for Kind Quilts, Bucks County Food Pantry, and has acted as treasurer of Healing Art Works, Inc., both local non-profit organizations. A mother of 3 young adults, Vicki is originally from New Jersey, but has lived in Bucks County, PA with her family since 1996. Chas J. Billera, C.Ht. is a practicing Hypnotherapist with experience in the Psychology of Human Behavior, Peak Performance, Personal Development and Self-Empowerment. Chas is the Former President of the Greater Philadelphia Area Chapter of the National Guild of Hypnotists. As a master hypnotist, he has built a long history of helping people make positive changes in their life. Chas is very passionate about the field of Hypnosis and Personal Development and is constantly learning new and innovative ways to help his clients. Always refining and developing his techniques, Chas practices an "Avant Gaurde"  style of Hypnotherapy. As a master in his field, He is also a Reconnective Healing Foundational Practitioner, an Access Bars Practitioner, a Level 2 Usui & Shamballa Reiki Practitioner, a facilitator of Emotional Freedom Technique, a student of Neuro Linguistic Programming (NLP) as well as an avid researcher on Sound & Vibrational Healing. Wagner Integrative Therapies is directed by J. Adam Wagner, D.C.
Chiropractic, Acupuncture, Physiotherapies and Therapeutic Massage are individualized and complimentary outpatient services at WIT. Our beautiful facility in Buckingham was designed so that complimentary outpatient therapies are available to our patients simultaneously. With private offices, open gym, an open treatment area, acupuncture room, massage room, and a open reception hub with separate waiting area, create a positive place for patients to come for their care. We offer exceptional Integrative Therapies because we are committed to our patients' recovery from chronic or acute pain, injury, surgery, and aging issues. Often, combining treatments gives patients the best possible opportunity for a favorable outcome. Exceptional practitioners and superior customer service, make Wagner Integrative Therapies a unique environment for recovery. Recognizing Adam’s talents and values; his unique brand of "Pain Management", his emphasis on superior patient outcome, his devotion to ethics, efficiency, professionalism, and one on one cohesive interaction, the Messina’s joined with Dr. Wagner to form Taormina Management, LLC, whose DBA name is now Wagner Integrative Therapies. Jay is a specialist in Pharmaceutical & Health Care Development in the greater Philadelphia region. Dr. Wagner is pleased to be providing care in Doylestown where most of his patients live and/or work. Vicki, now the administrator of WIT, provides management and marketing for the practice.